Link: July 30, 2006. If you aren't already a subscriber to Tom Mighell's excellent net blog, Inter-Alia , hurry over and grab the RSS feed or sign up to receive it via email. This week's issue points to his excellent article on mobile security while traveling. Every road warrior needs to read it before setting out on the road. I know I did. Link: Skype Email Toolbar. Want to place a free Skype VOIP call to one of your email correspondents? If you use Thunderbird,the Mozilla email client, now you can. I recently signed up for a SkypeIn phone number, which is 727-565-1745. If you call that number, you will get me if I am online,and, if not, you will get Skype voice mail. Since I am always online (even here in the mountains), you have a better than even shot that I will answer. 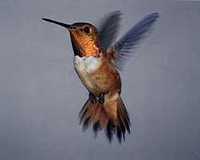 Of course, right now, I am surrounded by the beautiful hum of hummingbirds, and I am watching them pig out on sugar water in their feeders. Quite a sight. There is one thing computers and the Internet will never match, and that is the peace and quiet of God's nature and wilderness. Link: iPhone software found in iPod updater? - Engadget Mobile. Is there an IPOD phone in your future? In truth, I don't use the IPOD much anymore, now that the Treo 700w has a decent MP3 player built-in. Why have a separate applicance for music to carry around? Of course, if phone capability could be built-in to the sleek IPOD form factor, that might be enticing. The rumor mill is really in full swing now that the IPOD updater has been found to have some references to phone capabilities. We shall see. Link: Mobile Web 2.0: Bitty Browser, A New Way to View Mobile Content @ WEB 2.0 JOURNAL. Something about the mountains encourages big thoughts. This morning I am thinking about Web 2.0, and I came across this article about the Bitty Browser. You may have noticed this little tool in the right column of this page. This little browser within a browser allows web navigation without leaving the current page. Try it. Type a url in the text box, and, bingo, you are browsing the web within the browser. Kind of like picture in picture on the television. These types of applications are changing the way we learn and communicate. 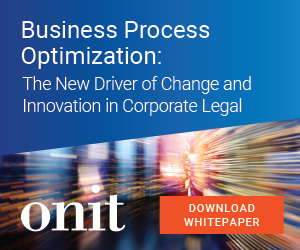 What will they do to traditional law practice? I know that, for the time being, I am hearing the noises and smelling the smells of the mountains, while I communicate with you. We used to think that technology would dehumanize us. I think it opens up limitless possibilities for the human spirit. Link: Waynesville, North Carolina - Activities. Sitting on the porch of a cabin in the mountains of North Carolina. Priceless. Watching humming birds come to the feeder. Priceless. Cool mountain air at 6 A.M. Priceless.The smell of grass and trees unsullied by pollution. Priceless. Blogging about it over the Verizon EV-DO cell network .$59.95 a month, with a two year cell phone commitment. Link: It’s The Network. Verizon Wireless and I have a love-hate relationship. I LOVE the fact that I can get cell service just about anywhere. I am live-blogging now from the car while "She Who Must Be Obeyed" drives the family to North Carolina to visit GrandDad. I LOVE the fact that I can browse the Net using EV-DO at 2.5 Mbps, (that's around 600 Kilobytes per second,) and is 4-5 times faster than dial-up, and 3 times faster than T-Mobile's Edge service. On the other hand, I HATE Verizon's customer service and the surly telephone reps. They always act like I am interrupting their day. On the other hand, I LOVE the sales reps at the mall kiosk where I go to buy phones and accessories. A mixed bag, but the positives outweigh the negatives. Well, time for a pit stop. From the road, this is FutureLawyer. 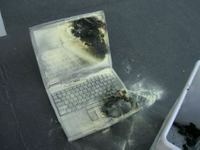 Link: Another Dell laptop ignites - Engadget. Okay, now I am wondering. I have a new Dell X1 ultraportable computer, which uses an extremely low-power processor; however, I once owned a Dell that had a power supply recall, and I have noticed overheating in the past. This laptop caught fire for some reason, and I think Dell needs to let us know what is going on. 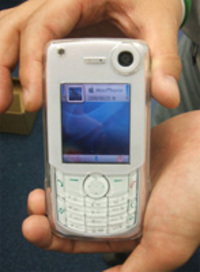 Link: Why I ditched my Treo - Fully Equipped - CNET reviews. At the top, know that I totally disagree with the conclusion of this CNET Editor. 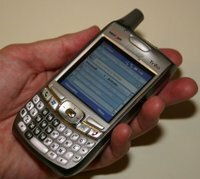 However, I thought you might like to read some views that oppose mine, concerning the Treo line of PDA/Phones before you buy your own. This review is a perfect example of Rule One of the FutureLawyer Tech Book: "Know thyself. And buy what you like." This guy hates the Treo keyboard; I felt lost until I got it back. This guy was a BlackBerry user (maybe that explains the brain dead conclusions). But, to each his own. Notice that most of the comments to his review agree with me. Link: ProDoc Automated Document Assembly Systems for Florida. My favorite document assembly software, ProDoc, is improving again. Version 5.0 promises more and updated forms, and continues the best tech support in the business. While limited to several States at the current time, if you are in Texas or Florida, this software is a no-brainer. You always know that any ProDoc form is compliant with current law, and the ProDoc team of editors is constantly working to ensure that they are. I use this software all the time, and, even in the areas of law in which I don't practice, I am always finding something new. I am an Amicus and PcLaw user for case management and time and billing, so I haven't used the SOS small office system module. However, once it provides for telephone message tracking, I am going to give it a try. Give it a try yourself. You don't have to sign a contract, and you can cancel your subscription whenever you want. Like an addict, however, once you generate some forms with ProDoc, you won't ever want to stop. Link: GoToMeeting : Web conferencing, Online Meetings, Yesterday's FutureLawyer Skypecast got me thinking about future Skypecasts. I have been testing GoToMeeting, a Citrix product that is a corollary to GoToMyPC, which I use for remote control of my servers, and for file transfer over the Internet. GoToMeeting ($49 a month for unlimited meetings) permits a host to share his screen with up to 26 online friends, and to pass the keyboard and mouse to any participant. Online presentations can be shown to the group, and a toll-based conference call option is provided with the software. I am wondering whether Skypecast can be used for the conference call portion, so that the conference call would be free. I will try it next week, just for fun. Remember, every Wednesday at Noon Eastern time, I will be hosting a legal tech Skypecast. Let the Doctors play golf on Wednesday afternoon. 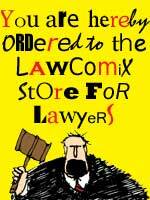 We are lawyer geeks, and do our best work indoors. Hope to see you.